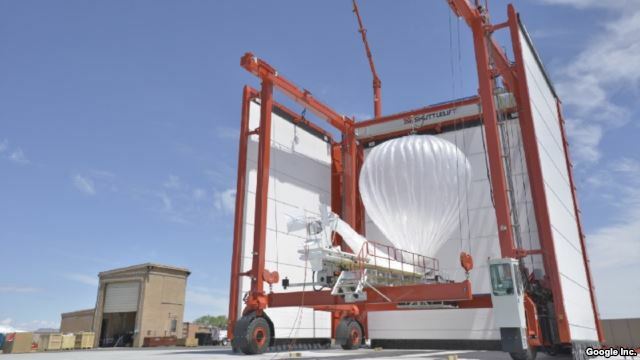 FILE - Visitors stand next to a high altitude WiFi internet hub, a Google Project Loon balloon, on display at the Air force Museum in Christchurch. Duncan Miri wrote this story for Reuters News Agency. Phil Dierking adapted the story for Learning English. George Grow was the editor. Do you know other creative ways to connect rural areas to the internet? Write to us in the Comments Section or on our Facebook page.